Springbok against Springbok up front and a Blitzbok twist in the backline. That’s the recipe that Vodacom Bulls coach Pote Human came up with in naming his side for their mammoth task against a rampant DHL Western Province side at Newlands in their Currie Cup semifinal on Saturday. 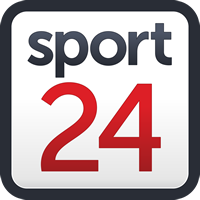 Trevor Nyakane will have to fill the boots of Matthys Basson, ruled out with a calf injury, and will face the prospect of scrumming against Bok tighthead Wilco Louw – who almost single-handedly destroyed the Bulls pack in the rain last weekend. Nyakane, who has been playing tighthead for the last few years, will have to move back to his original position and hold his own if the Bulls are to have any platform in the game to try and negate what many believe will be Province marching towards the final. And in the backline Human surprised with Blitzbok Dylan Sage in the place of Franco Naude, a calculated gamble to put the Sevens specialist up against Damian de Allende, and hope that some of his flair in the shortened game rubs off on his teammates during the semi. Sage will be making his first start for the Bulls since joining them at the start of the Currie Cup season. At wing Duncan Matthews comes in for Jamba Ulengo in another surprising move as Ulengo didn’t touch the ball in the 40 minutes of rain last weekend. Among the replacements, Frans van Wyk will return for the familiar surroundings of Newlands, where he will make a first appearance in this year's competition. “I really believe he can bring something to the game,” Human said of Sage’s inclusion. “He is a good rugby player and he can be a special player with an X-factor, that’s why we can give him a chance in this big game. While the move to play Sage is a gamble, Human believes they have to roll the dice in such an important one-off game and see if it pays off. Human said the Bulls were expecting a massive onslaught up front again. "We had to take a good, hard look at ourselves and the efforts we dished up last weekend. That performance was not who we want to be as a team. We get the ideal opportunity to rectify that effort a week later and although it is in Cape Town this time around, it creates a great opportunity for us to show what we really capable of. We have not won the Currie Cup in a while and there is no doubt that we have the ability in this squad to do so this year." "We played some proper rugby already this year, but then came really poor performances like last weekend. We know what we are capable of, so the challenge will be to deliver our best effort of the season." Vodacom Bulls: Divan Rossouw, Duncan Matthews, Dylan Sage, Johnny Kotze, Jade Stighling, Manie Libbok, Ivan van Zyl, Hanro Liebenberg (capt), Marco van Staden, Ruan Steenkamp, Eli Snyman, Hendre Stassen, Dayan van der Westhuizen, Jaco Visagie, Trevor Nyakane. Replacements: Edgar Marutlulle, Frans van Wyk, Conraad van Vuuren, Ruan Nortje, Nic de Jager, Embrose Papier, Tinus de Beer, Franco Naude.